Paris, je t'aime.....There is no place on earth quite like Paris. I had the opportunity of spending some time time there this past June 2009 and Paris won my heart over immediately. With that being said it was very easy when it came time to plan my bridal shower. My bridesmaids know how much I love Paris and one day chatting with my matron of honor about the shower my Parisian shower was born. I searched high and low for a Paris themed invitation and after many nights of google searching.....NOTHING! 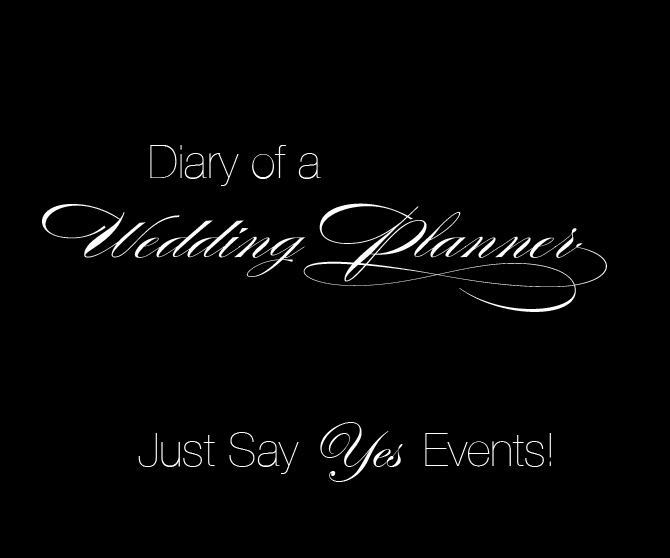 I was very sad because being an Event Designer I know just how important the invitation is. Not many people realize that it serves at your guests first glimpse into what they should expect from your event. I decided that I would take on the task of designing the invitation and so began my adventure in invitation design. I knew that I wanted the invitation itself to be "Pink"....It is my favorite color after all and I also wanted the shower to be very feminine. I have shared a few photos for you to see the process and finished project enjoy and I will post images from the shower as its coming up pretty soon on May 1st. 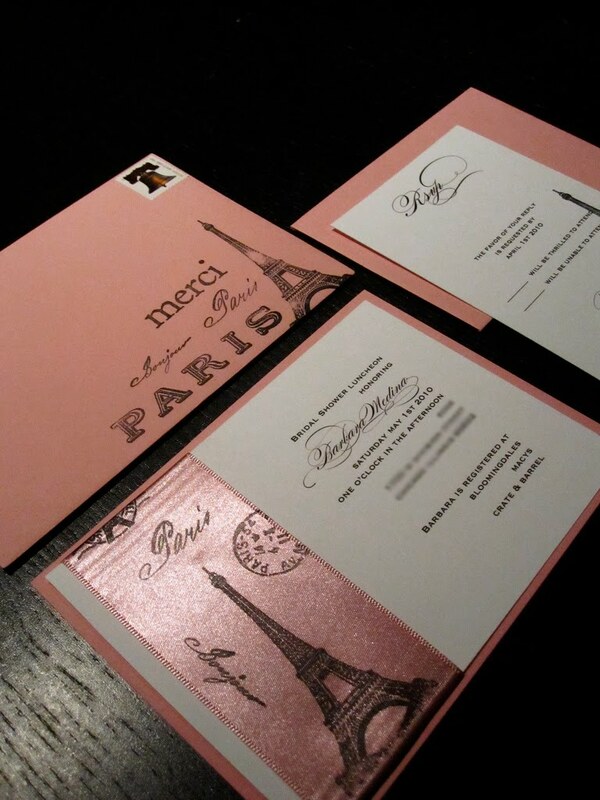 In this image you can see the entire invitation suite. The first piece the actual invitation came out wonderfully with the custom double faced satin ribbon and custom copy. 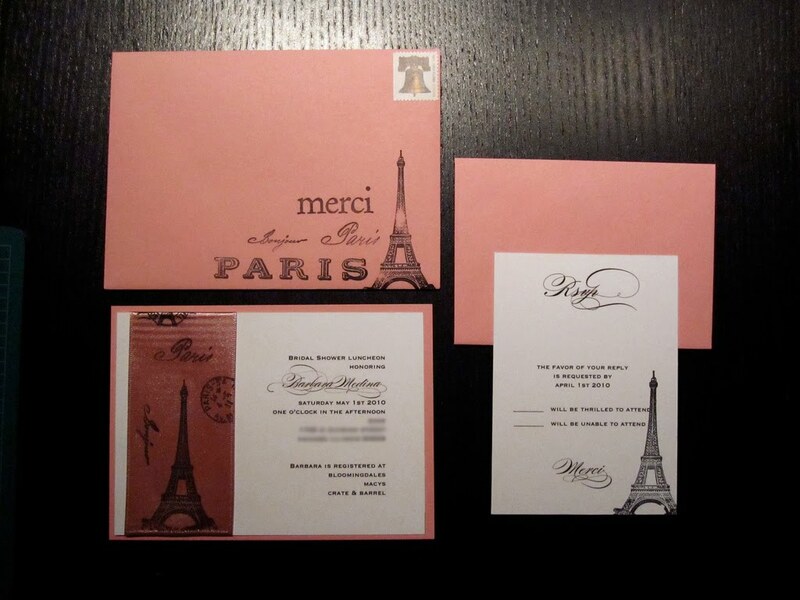 The envelopes were also adorned with an Eiffel Tower & the words Paris, Merci & Bonjour. 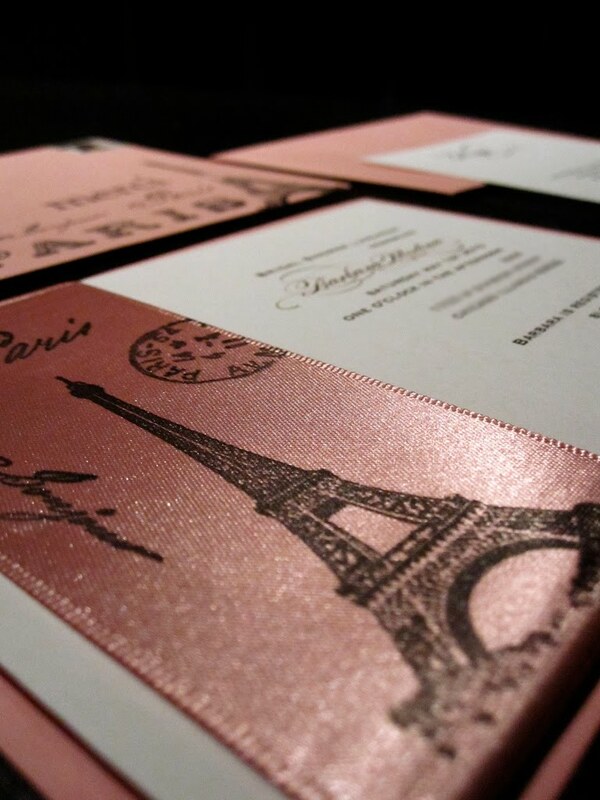 No detail was left out...We designed the RSVP to match the suite as-well adding one simple Eiffel Tower, simple yet sophisticated. In this last photo you can see the detail of the custom ribbon. The ribbon was a labor of love taking over 3 days to complete. It added the perfect touch to the invitations and we will be utilizing this technique for future events...Stay Tuned! !